The long early voting line that wrapped around the LBJ Student Center earlier this week was a welcome sign to those at Texas State University who were hoping for strong enthusiasm among young voters on campus. But with early voting on campus restricted to three days, civil rights attorneys, voting rights advocates and local Democrats are now raising the specter that the hour-and-a-half waits that students faced at the polling location could not only dim student turnout but also violate state and federal law. In a letter sent to the county Thursday evening, lawyers with the Texas Civil Rights Project — on behalf of two Texas State students, MOVE Texas Action Fund and the League of Women Voters of Hays County — demanded that the county reopen the early voting location on campus and add an Election Day voting site to avoid a lawsuit. Requesting a response by 12 p.m. Friday, the Texas Civil Rights Project alleged that the county’s decision to limit early voting at the on-campus location was a violation of the U.S. Constitution because it specifically targets a class of voters. “The burdens imposed by closing the on-campus early voting location fall particularly and disproportionately on the county’s young voters, who are significantly more likely to live on or near campus and are less likely to have easy, immediate access to reliable transportation to vote off-campus,” Beth Stevens, the Texas Civil Right’s Project’s voting rights legal director, wrote. The Texas Civil Rights Project also claimed the closure of the on-campus polling site violates two portions of the Texas election code — one that limits the number of temporary polling places in a county commissioner’s precinct and another that regulates the number of polling locations that must be set up for each voting precinct. Access to early voting on college campuses varies across the state. Students at the University of Texas at Austin have access to two on-campus polling locations throughout the early voting period and on Election Day. Tarrant County is splitting up its early voting between several universities and colleges, offering three days of early voting at both the University of Texas at Arlington and Texas Christian University. Meanwhile, students at the University of Houston and Rice University — both in Harris County — and University of North Texas in Denton will only have access to on-campus voting on Election Day. See here for more on the Prairie View situation. In the end, Hays County Commissioners Court took corrective action. After being threatened with a lawsuit over early voting access at Texas State University, Hays County commissioners voted Friday to expand voting hours on campus. In an emergency meeting, the Republican-dominated court voted to re-open the early voting site that operated on campus during the first three days of early. 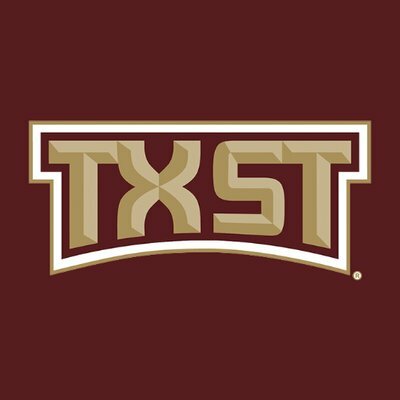 The polling location at the LBJ Student Center will reopen on Nov. 1 and Nov. 2 from 7 a.m. to 7 p.m. The commissioners also agreed to add an Election Day voting site at the university. “I want everyone to know and understand that we are doing our best. We are trying to follow the laws and allow the opportunity for all to be able to vote in the most efficient manner possible,” Commissioner Lon Shell, a Republican, said before the court went into executive session to discuss the issue. Good. I mean, we are experiencing record turnout for early voting, which is one part a much higher level of engagement this year versus 2014, and one part more people shifting their behavior to vote early instead of on Election Day. Counties are going to need to respond to that, and they need to do so before voting begins. Not every college campus needs to have an early voting location, but at places like PVAMU and TSU it makes sense. Beyond that, let’s please not treat early voting locations differently. If a site is good for early voting, let it be as good as every other site in the county. Two days after students at Prairie View A&M University sued Waller County over allegations that the county is suppressing the voting rights of black residents, the rural county said it is expanding early voting opportunities for students at the historically black university. The county will now open a Sunday polling place at Prairie View City Hall and expand voting hours at the university’s campus center on Monday through Wednesday of next week to 7 a.m. to 7 p.m., instead of the original 8 a.m. to 5 p.m., according to the NAACP. Students can continue to early vote at the Waller County Community Center in Prairie View on Thursday and Friday of next week. According to Waller County’s website, there is still no location on campus or in the city of Prairie View available to the students during the first week of early voting, which is what originally prompted five students to sue the county, accusing it of violating the federal Voting Rights Act and U.S. Constitution by denying them “an equal opportunity to vote” compared to the county’s non-black voters. See here for the background. This is better than it was before, and that’s always something. But seriously, why is this so hard? Why isn’t Prairie View being treated like other voting locations? There’s no acceptable answer to that question. UPDATE: State Sen. Borris Miles is not impressed with the latest announcement. Five students at Prairie View A&M University are suing Waller County, which is home to the historically black university, over allegations that the county is suppressing the voting rights of its black residents. In a lawsuit filed Monday, the students accused the county of violating the federal Voting Rights Act and the U.S. Constitution by not providing any early voting location on campus or in the city of Prairie View during the first week of early voting. The suit says the county’s decision “imposes a substantial and unwarranted burden” on student voters and denies them “an equal opportunity to vote” compared to the county’s non-black voters. “There is no legitimate, non-discriminatory reason for defendants to deny opportunities for early voting during the first week to plaintiffs and black voters in Prairie View on an equal basis with other non-black voters of the Waller County,” the lawsuit reads. Alleging that the county was treating black voters as second-class citizens, the students — represented by the NAACP Legal Defense and Educational Fund — asked a federal judge to force the county to set up an early voting site on campus that offers weekend hours. In the lawsuit, the students noted that the county failed to set up any polling locations on campus or in the city of Prairie View, which has a majority black population, during the first week of early voting. The plaintiffs noted that the county is planning to provide five days of early voting in Prairie View during the second week, but early voting during two of those days will be held at an off-campus location that is not easily accessible to students that lack transportation. Neither site would offer weekend hours. Meanwhile, voters in the city of Waller — which has a majority white population and half of the eligible voting-age population of Prairie View — will have access to two early voting sites during the first week of early voting. Both of those sites will also be open on Saturday. A polling site will also be open in the city of Waller during the second week of early voting. I mean, come on. You could at least have a location in the city, with the same hours as the other sites, for the duration. The inequality here is right out in the open. There’s no good reason not to do this, and no, cost is not a good reason in this case. The previous problems we talked about are resolved, at least for now, but it’s still harder to vote at PVAMU than it needs to be. Denise Mattox, president of the Waller County Democratic Club, called the new rules a “treatment” but not a full-fledged “fix” for the voting barriers facing many Prairie A&M students. She said the real problem is that students do not have their own mailing addresses on campus. The university does not have individual mailing addresses for students, so students have traditionally been instructed to register to vote using one of two shared campus addresses – 100 or 700 University Drive – per a 2016 agreement reached between the university and the county. However, the 700 University Drive address is not in the same precinct as the campus. That placed a number of students’ voter registrations in question for the upcoming election. Seger said that the students’ access to voting has been “problematic forever.” She echoed Mattox in saying that the use of shared mailing addresses tends to disenfranchise student voters. She also noted that the students are further discouraged from voting because early voting on campus does not last as long as it does other places. On Wednesday, Waller County commissioners are expected to consider a recommendation from Eason to add additional early voting locations and times on campus, according to a statement released by the county. “For those trying to paint Waller County in a certain light, the truth is that we have worked very hard to protect and expand the voting rights of students at PVAMU, and we will always remain committed to that endeavor, regardless of what anyone else tries to portray,” Waller County Judge Trey Duhon wrote in the statement. The statement also said that all students using the 100 or 700 University mailing addresses will be allowed to vote in either of the precinct locations and that additional poll workers will be available to help students correct their addresses after they cast their ballot. Additionally, Waller County officials plan to hold an “Address Correction Drive” on campus for students to correct their addresses before Election Day if they want, according to the statement. See here and here for some background. Prairie View posted a statement on Facebook defending its practices. Making early voting hours uniform should be a no-brainer, and should have been that way all along. Having the two accepted PVAMU addresses be in two different precincts is obnoxious, and the kind of routine obstruction we put on a small class of relatively powerless people for no good reason. This isn’t rocket science, and it should not still be an issue forty years after the original voting rights matter was resolved. Let’s get this right once and for all. Prairie View A&M University students will not have to fill out additional registration paperwork before casting their ballots, a move that allays the concerns of Democrats who worried long lines would dissuade students from voting. The news, announced in a joint statement Friday by Texas Secretary of State Rolando Pablos, Waller County, the local parties and Democratic congressional candidate Mike Siegel, comes after confusion on Prairie View A&M’s campus over student residents who registered under addresses that placed them in a different precinct. Officials said they would allow those students to vote at the on-campus precinct, but would require them to fill out a statement of residence form — referred to by county officials as a “change in address” form — before casting a ballot. Siegel and other local Democrats worried the requirement would depress turnout. 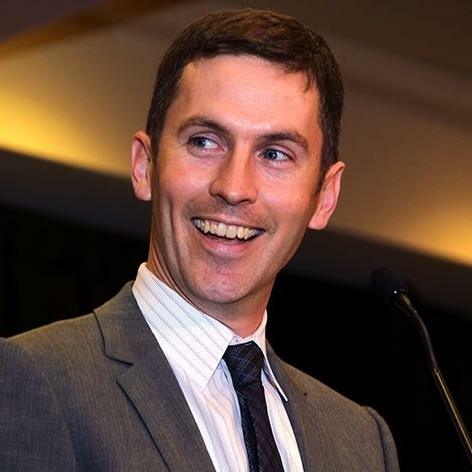 Remember that story I posted on Friday, about how the field director for CD10 Democratic candidate Mike Siegel was arrested and briefly detained after delivering a letter demanding that the county rectify this problem? This is the apparently happy ending to that. Siegel got some national attention for the story, but more importantly the students at Prairie View can vote without going through needless bureaucratic hassles. Good on everyone for getting this worked out. What the hell is going on in Waller County? That didn’t seem right, especially the part about getting arrested after being asked what party he’s affiliated with. So I managed to get Siegel on the phone to get some more details. A field director for Democratic congressional candidate Mike Siegel was arrested at the Waller County Courthouse Wednesday after he delivered a letter demanding the county update the status of students at a nearby college whose registrations were thrown into question the day before. Jacob Aronowitz, Siegel’s field director, was released after about two hours, according to Lisa Seger, the Democratic nominee for Texas House District 3, who arrived at the courthouse after the arrest. The letter, addressed to County Judge Trey Duhon and Elections Administrator Christy Eason, took issue with Eason’s decision to require the students fill out a “change in address” form to correct the registration issue. The arrest stemmed from Aronowitz’s decision to take a photo of a clerk receiving the letter, apparently to confirm it had been received, Siegel said in a phone interview. The clerk objected to having her picture taken and complained to a nearby bailiff, Siegel said. “The bailiff then stopped Jacob as he was trying to exit the building in the stairway and apparently called the police,” he said. Aronowitz then called Siegel, who is an attorney. Siegel said he heard Aronowitz repeatedly ask why he was being held and whether he was free to go. At one point, Aronowitz told a detaining officer that his lawyer, Siegel, was running for Congress. Though Aronowitz was released, county officials kept his phone, according to Seger, the state House candidate. This subsequent tweet announced Aronowitz’s release. This is some backwater Boss Hogg crap right here, and you can only imagine what Aronowitz’s plight might have been if he wasn’t in a position of privilege to begin with. Not to be crass, but Waller County still has Sandra Bland’s blood on its hands. We need to hear a lot more from county officials about why this happened and what they’re going to do about it. We also need to have more reporters asking these questions. The DMN and a subsequent post from TPM have more. I’m all in on this. A coalition of civil rights groups is urging the Obama administration’s Justice Department to reject Texas’ voter-ID law, charging that the measure advocated by Rick Perry intentionally discriminates against black and Hispanic voters. The Legislature passed the law earlier this year requiring voters to present a picture identification. The Justice Department has the authority to review whether laws in Southern states violate federal civil rights laws. Perry and Republicans in the Legislature say the law is designed to stop voter fraud. Democrats say its intent is to discourage minorities from voting. In a letter to the Justice Department, the civil rights groups ask that the Justice Department not to pre-clear the law. Advancement Project Co-director Judith Brown Dianis said the measure “is part of the largest legislative effort to turn back the clock on voting rights in our nation in over a century.” The letter was submitted by the Advancement Project, the American Civil Liberties Union, the Asian American Justice Center and the Southwest Workers Union. You can see the letter here, and the Advancement Project’s press release here. I urge you to read both, because there’s a ton of information in there about just how burdensome the new law would be if it gets precleared, and how the effect would fall disproportionately on minorities. I was on a conference call on Thursday night with Christina Sanders and Denise Lieberman of the Advancement Project, and one of the things they mentioned was that there are an estimated 600,000 registered voters who do not currently have a form of ID that will be acceptable under the law. For many of these people, obtaining such ID will be nearly impossible, because there are many counties in Texas that do not have a fulltime DPS office; in some cases, people will have to travel up to 80 miles to get to the closest office. That’s a mighty tall order if you don’t have a driver’s license. Another group that will be disproportionately affected is students. The League of Young Voters Education Project discusses that aspect of the law and the complaint to DOJ. [On September 8], the NAACP Legal Defense & Education Fund, Inc. and the League of Young Voters Education Fund issued a joint letter urging the Attorney General to reject Texas’s proposed photo identification law. The organizations argue that Texas has not met its burden under Section 5 of the Voting Rights Act of showing either that this proposed voting change will not be harmful to minority voters, or that its adoption was free of discriminatory purpose. “As our letter explains, Texas’s proposed photo ID measure, which does not permit the use of a government-issued student identification card as an acceptable form of identification at the polls, would disfranchise students who only possess student identification,” said Christina Sanders, State Director for the Texas League of Young Voters Education Fund. This is especially true for many African-American students at Prairie View A&M University, a historically black university located in Waller County, who have been the target of multiple efforts to deny their votes over the years. The League of Young Voters Education Fund collected statements from dozens of students at Prairie View confirming that the proposed photo ID law will disfranchise them. It is noteworthy that these new burdens have been imposed against the backdrop of an unfortunate history of discouraging student voting at Prairie View A&M. 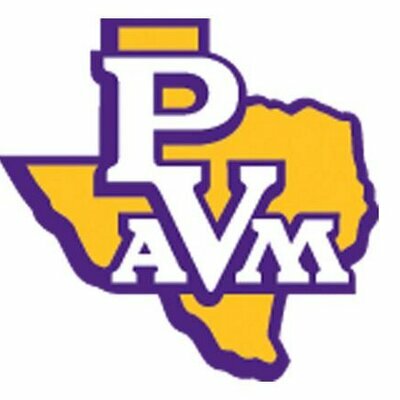 For more than three decades, Waller County has repeatedly sought to prevent students at Prairie View A&M from participating in the electoral process. Litigation from the late 1970s—including a decision from the Supreme Court —barred Waller County’s efforts to block Prairie View A&M students from voting in local elections. Nonetheless, in the 1990s and 2000s, local officials indicted students, or threatened them with prosecution, for voting in such elections. Although Texas’s purported rationale for the photo ID Law is to prevent fraud, there is absolutely no record of voter fraud with respect to in-person voting in Texas. “It’s a lie. It’s not true. It does not exist,” said Royal Masset, former Political Director of the Republican Party of Texas. Yes, that’s the other thing to remember. This law is supposed to fight a kind of fraud that quite simply does not exist. Attorney General Greg Abbott spent two years and millions of dollars looking for voter impersonation cases, and the best he could come up with were a couple of limp instances of questionable behavior with absentee ballots, which are out of scope of the new law. The real purpose, of course, is to suppress the vote of certain Democratic-leaning constituencies, and one hopes that the DOJ will object and prevent the law’s implementation. We’ll have an answer from them by September 23. UPDATE: See this Roll Call story for some more background.